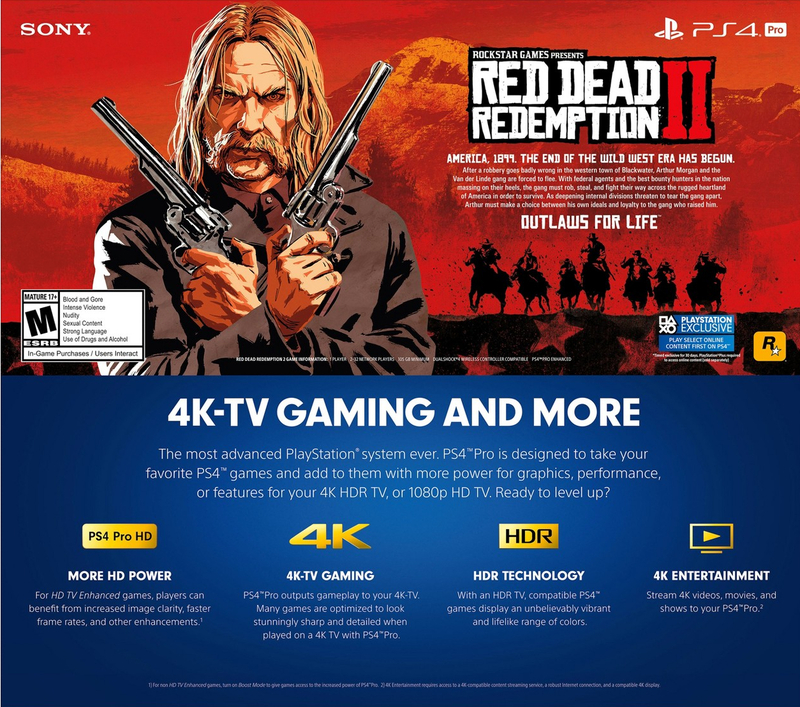 Red Dead Redemption 2 will require a massive 105 GB of hard drive space to install on PlayStation 4. First spotted by Rockstar Intel, U.S. retailer Target revealed the figure through the image of the PlayStation 4 Pro Red Dead Redemption 2 bundle seen below. While file sizes can vary across platforms, Xbox One owners should expect to clear a similar amount of hard drive space.